This small town on the coast of Ecuador has become a party hot spot for backpackers in South America. 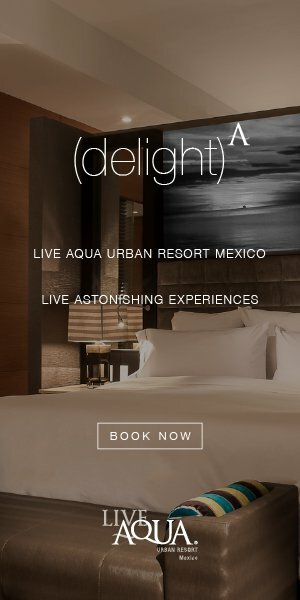 Attracting a young and energetic crowd, partiers who opt out of the beach can choose from a range of bars, restaurants and vendors that will concoct any drink you desire. The most famous club scene in the world is also home to some of the most epic beach parties known to man. 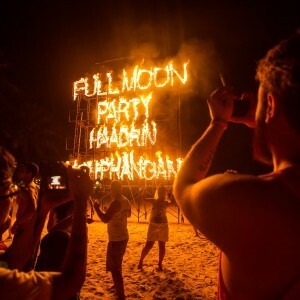 Like most beach parties, these gatherings can trace their origins to drum circles in celebration of the full moon. While Ibiza touts a star-studded lineup of deejays for its summer clubbing season, partygoers can head over to the beach for a less glitzy feel. Full moon veterans will often complain about the over-saturation of this scene. If you want a more intimate feel, head to Kendwa Beach in Zanzibar, Tanzania. Originally a traditional drum group, the event has grown into a monthly night of dancing, with a vibe reminiscent of Koh Phangan before it was commercialized. Once an enclave of hippies and ex-pats, Goa has become a favorite destination for backpackers from around the world. Parties can pop up without a moment’s notice, so they stay under the radar. If you are in town looking to dance, the general rule of thumb is to rent a scooter and follow the music. 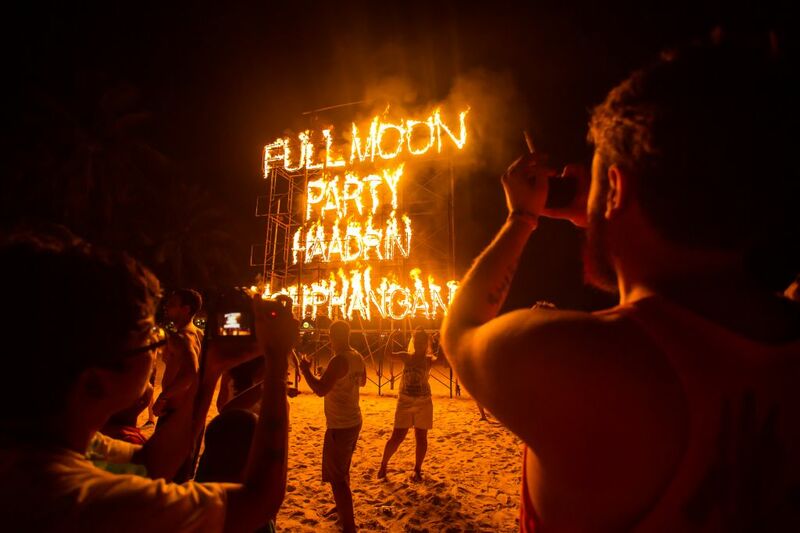 Home to one of the oldest and wildest full moon parties in existence, Koh Phangan is synonymous with the scene. Haad Rin is a large, crescent shaped beach where crowds can grow to more than 30,000 people. With multiple deejays playing and a plethora of bars and restaurants, visitors are guaranteed to find a drink and a beat to their liking.